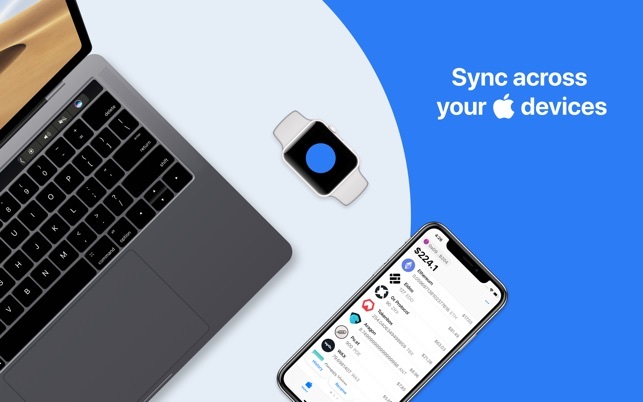 Access all your Ethereum tokens across all your Apple devices. Tokenary is a simple and secure wallet for ETH & ERC-20 tokens. It automatically detects everything you hold on your Ethereum accounts. 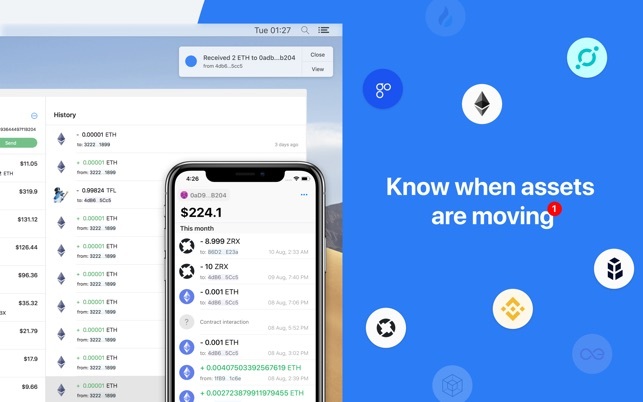 In a matter of seconds, Tokenary allows you to easily send, receive and watch your assets in one place. Security is our first priority. Your private keys are encrypted, stored locally on your iPhone, and never leave it. You, and only you have access to your private data — Tokenary is a tool you can trust. Also, there is an option to track any address without inputting a private key. - Navigate through multiple Ethereum accounts with ease. - See all your iOS accounts in the macOS app and vice versa. - Always be notified of sent and received transactions. - View balances in a currency of your choice. Questions? Don't hesitate to reach out, we are happy to help. Tokenary looks excellent. This app allows me to track all my tokens across different addresses. 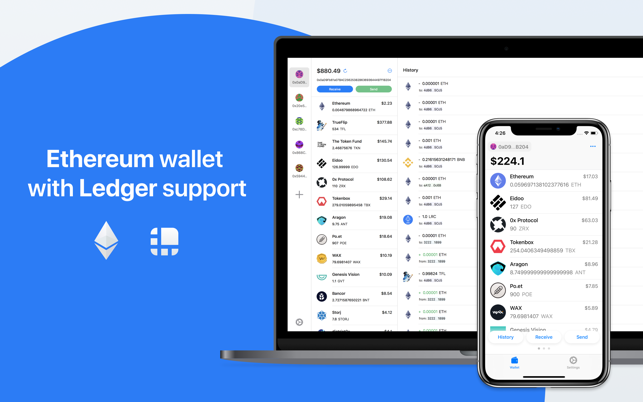 Best support for ledger hardware wallet I have seen so far. App looks great, and seems promising, but I’m unable to add more than one address. When hitting the “plus” button a blank popup screen is shown.